Every now and then Running Mums Australia are contacted by companies who want to market their brand to our members. We take care in carefully choosing who we think best fits our membership and what products we think our members would be most interested in. This means that we can also access great deals for our members with giveaways and promotions. 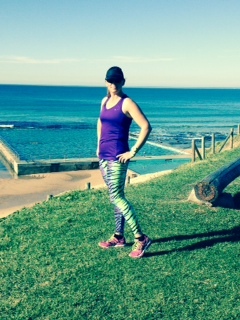 A few weeks ago I was contacted by Aussie company, Run Faster, who specialising in high quality women’s fitness clothing in bright colours and unique prints. I took one look at their website and I was hooked. 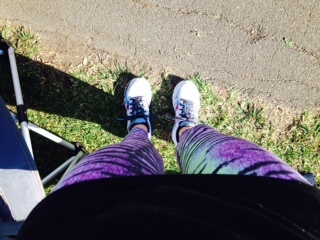 Never had I seen such awesome tights and tops in any of the stores that I had bought my running clothes before. The prints are out of this world. One thing that a lot of our members take pride in is looking their best when running, and the products at Run Faster totally make this a possibility. 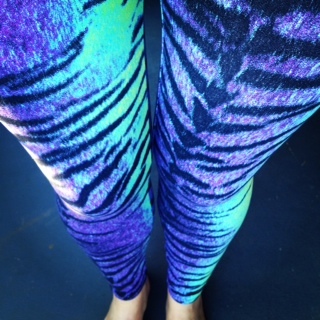 If you want to stand out on the track you have to get yourself into a pair of their amazing tights! I was sent the Rola Moca full length tights to review. When I got them out of the envelope I was so excited to see the amazing patterns and colours. They were like nothing I had ever worn before!. Then I was disheartened as they looked so tiny and I didn’t think that they were going to fit this little running body, but I was AMAZED to see that they indeed did fit me and they fit me PERFECTLY. The tights are made from a high performance Supplex Material which is a soft cottony nylon which can stretch to over 500% without breaking and still recover its original shape! I tested this out myself putting them on and running in them and after washing them they were just as if they came out of the mailbox. 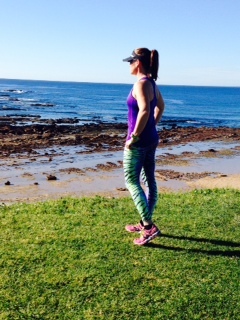 I decided to take my new hot tights down to the south coast to run with my friend Kath. It was actually quite a hot day and when I got there I was wishing that I had worn shorts and not the tights as I was worried that I would overheat. The session was a tempo marathon pace session and seriously hard and I really didn’t think I was going to cope! I was very pleasantly surprised as the material was so breathable and wicked the moisture away and the only part of me that was hot was actually my top half! I was not hot on my legs at all and they were so comfortable to run in. After we had finished our running we were quite hot and sweaty and we decided to sit down in the local cafe for some lunch. The tights dried really fast and I actually felt comfortable and not all hot and sweaty and I could enjoy my meal. One of the best things I loved about them was that they have a wide waist band that often I find lacks in the tights I am used to wearing. This means that there was NO worrying about them slipping down while running and they held all of my mummy tummy (yes, I have one) in and I felt very confident and comfortable. There is nothing worse than feeling like my tummy is showing and seeing all those lumps and bumps and with these tights you actually couldn’t see ANY. They just slimmed me down and gave me a really flattering shape. I have worn them a few times now running and also just lounging about and I think that I have found my new most favourite and comfortable pant! They make you feel like you have nothing on. They are also nice and bright so they are a good eye catcher! Also so many people have commented on how great they look and how flattering they are. 5. Their warmth and breathable properties plus their quick drying properties.